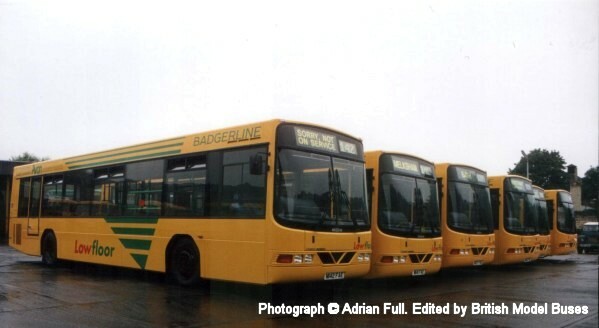 This photograph was taken on 2 July 1995 and shows a line up of brand new vehicles being prepared for service. 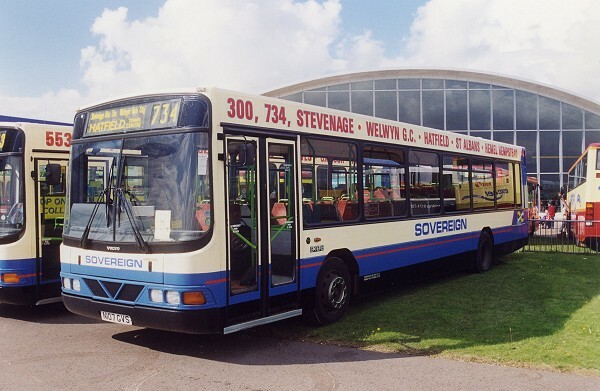 M142 FAE is nearest to camera. 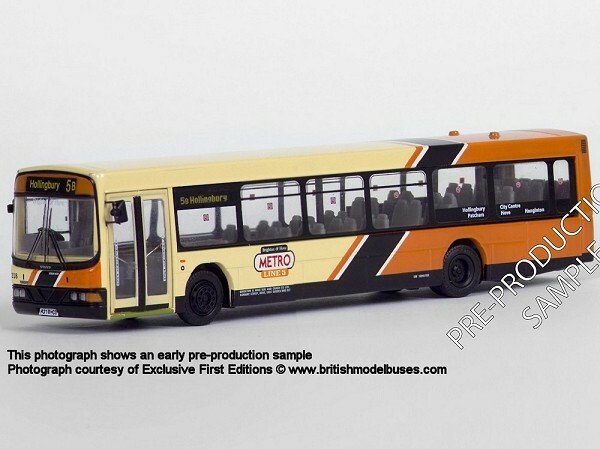 Then in the following order moving away from camera M141 FAE (as represented by EFE model 29803), M137 FAE, M140 FAE, M138 FAE and M139 FAE. 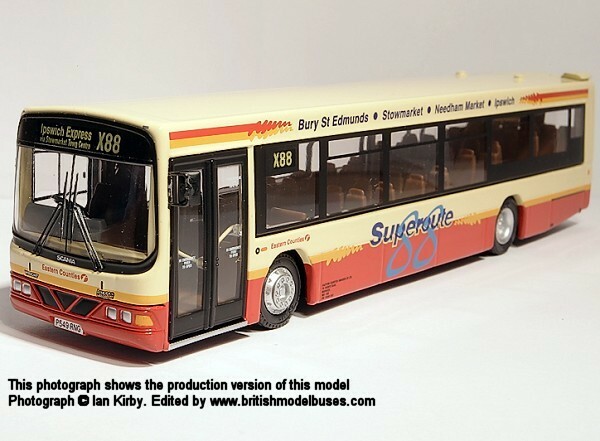 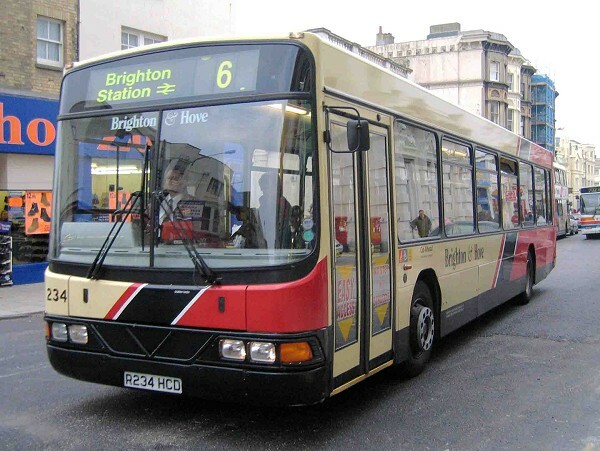 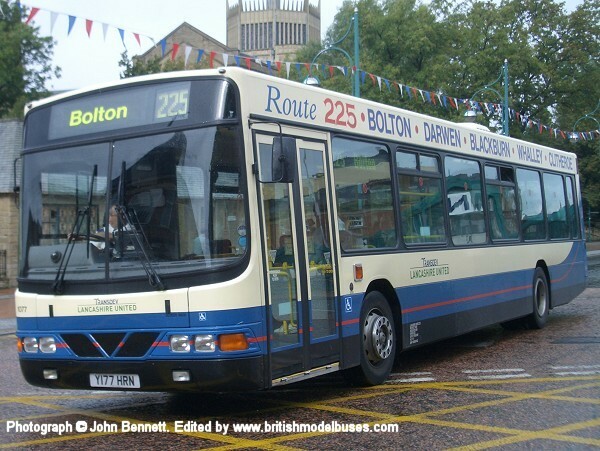 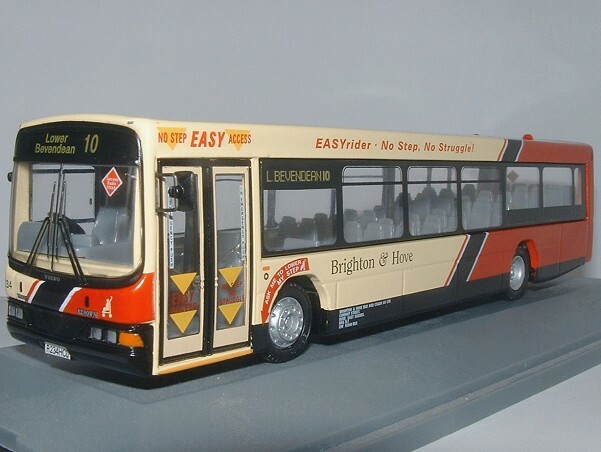 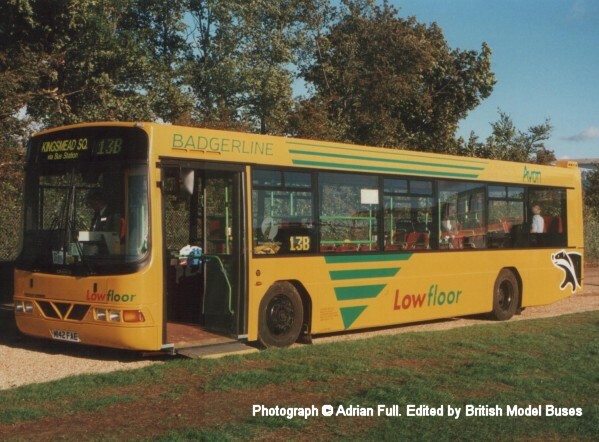 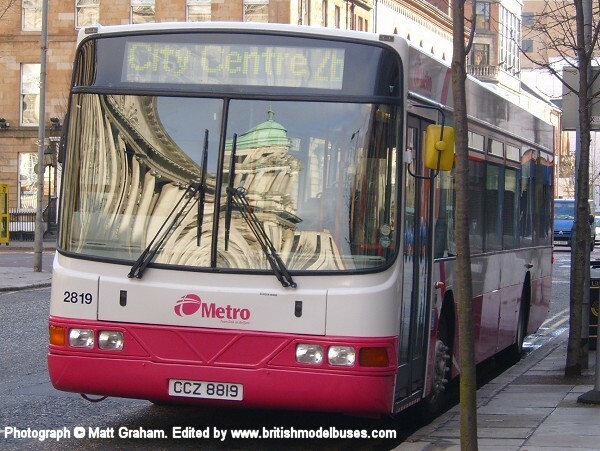 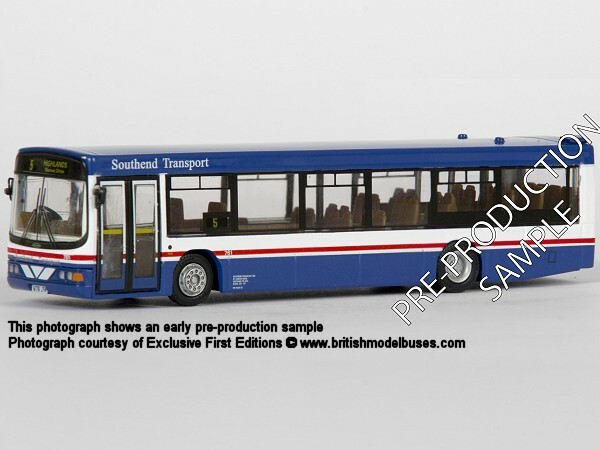 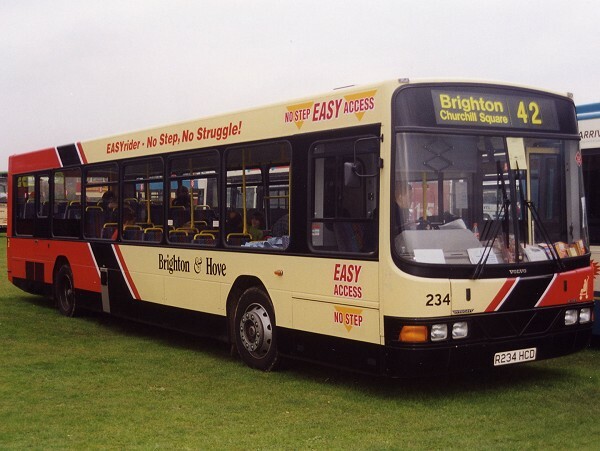 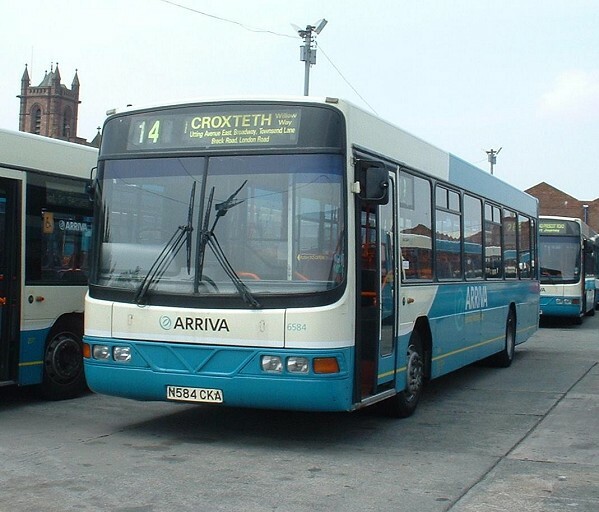 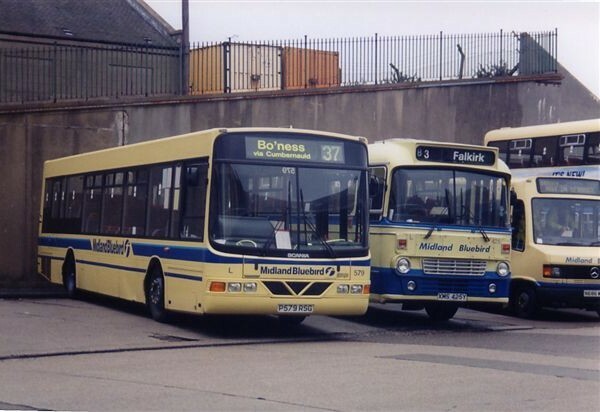 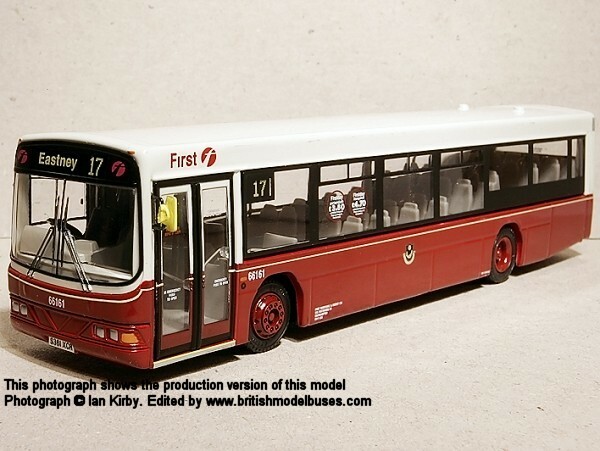 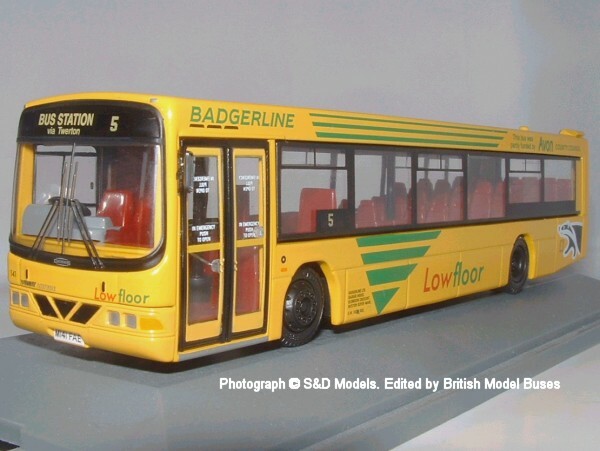 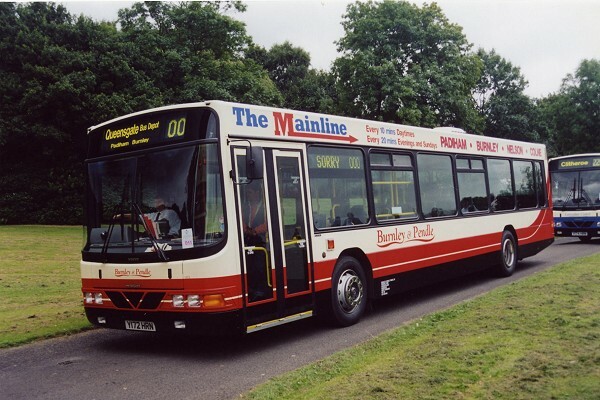 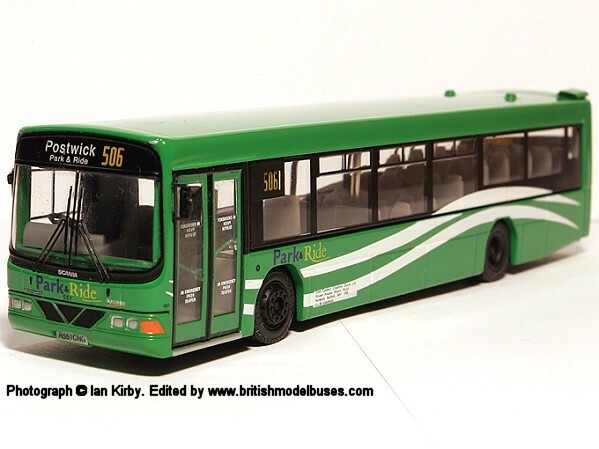 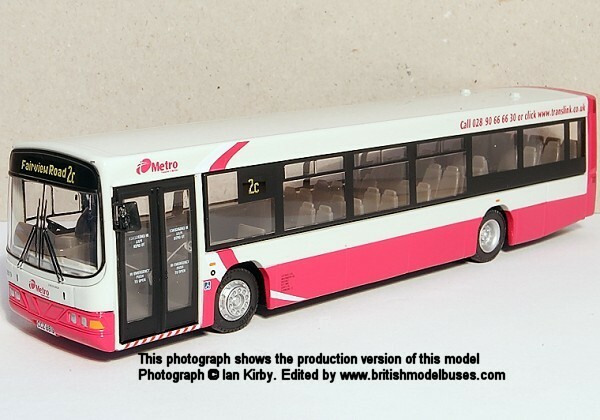 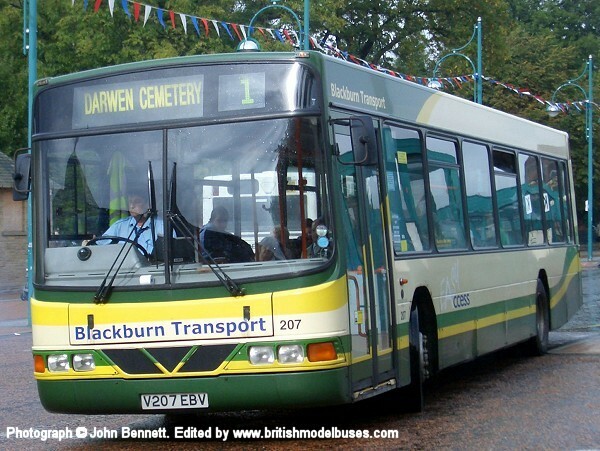 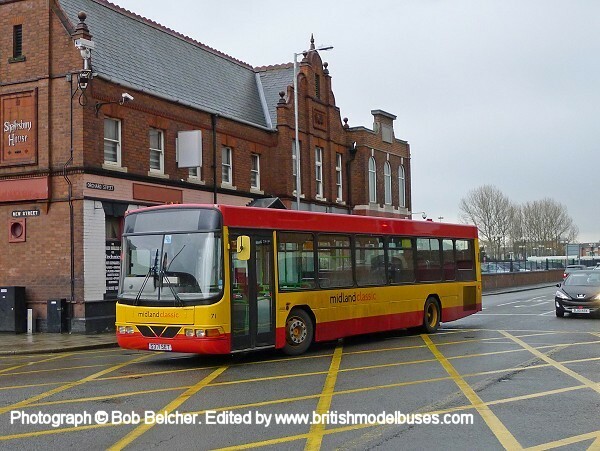 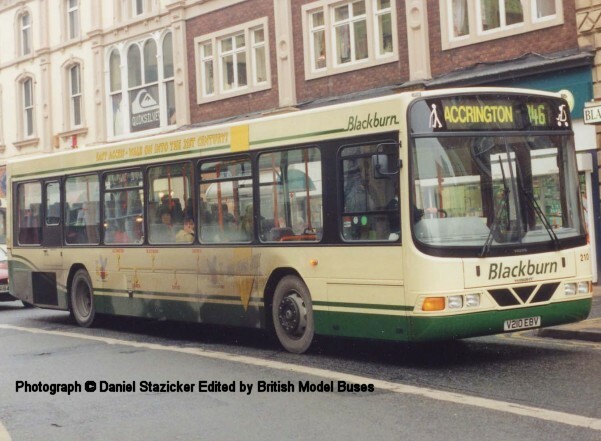 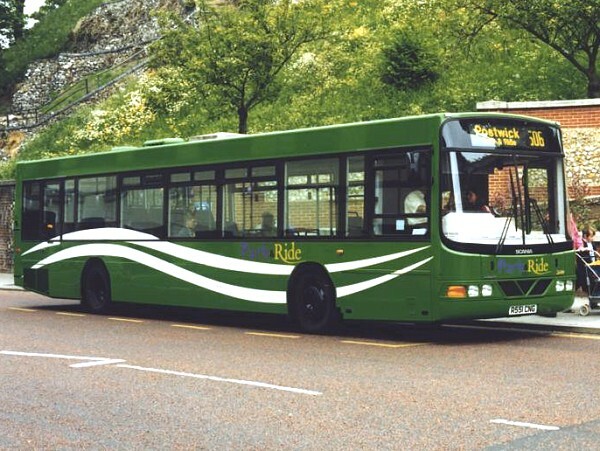 Several of the new buses were loaned to other Group companies, 141 (the model one) went to South Wales Transport in Swansea, whilst others visited Bristol City Line and London Centrewest. 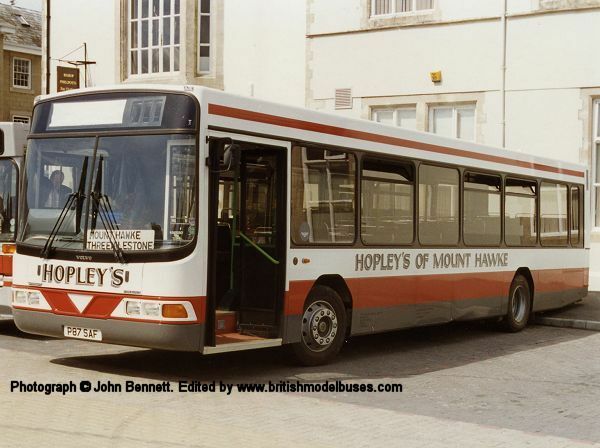 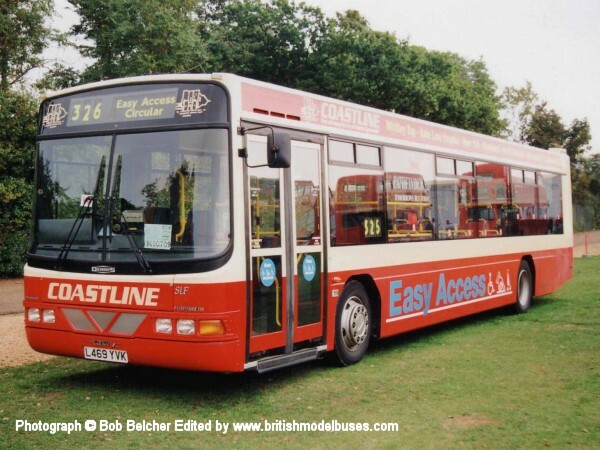 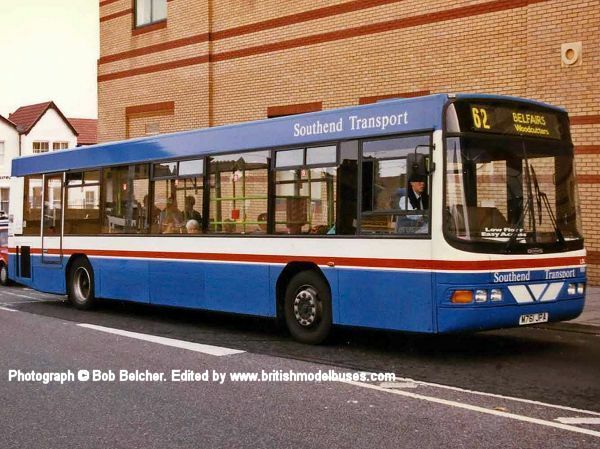 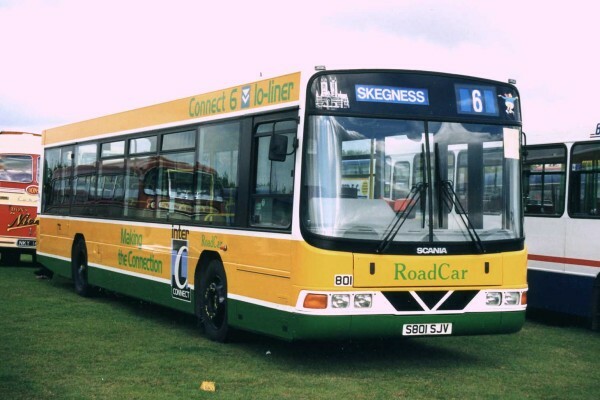 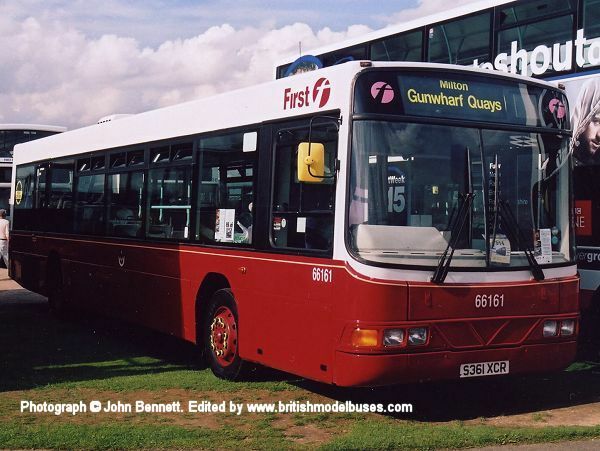 This photograph was taken in Southend during 1996 and shows M761JPA. 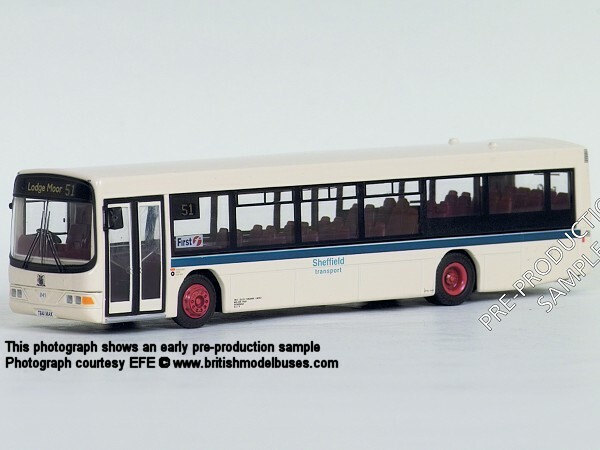 This is the actual vehicle as represented by EFE model 29805. 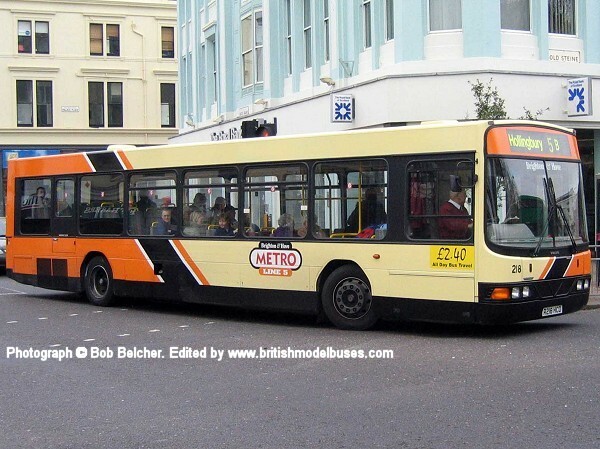 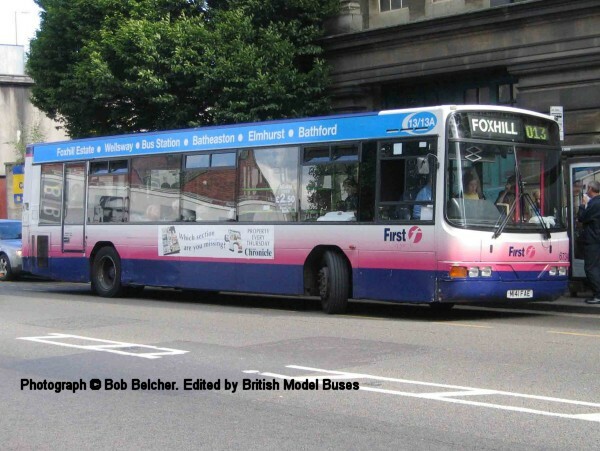 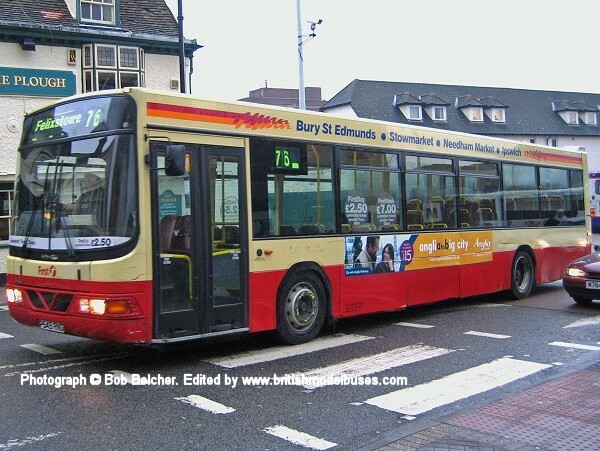 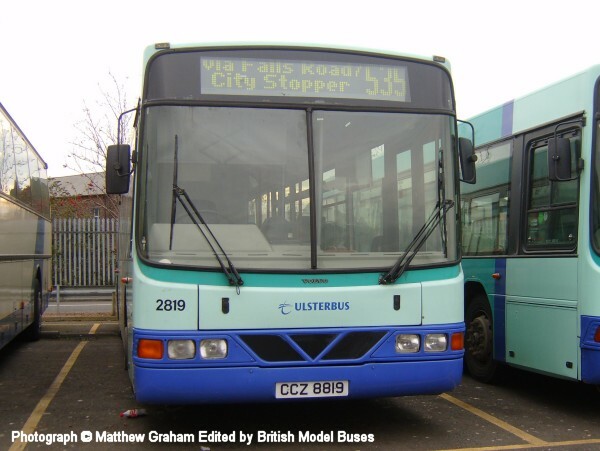 This photograph was taken in Ipswich on 23 January 2004 and shows the above vehicle now devoid of it's "Super Route" branding. 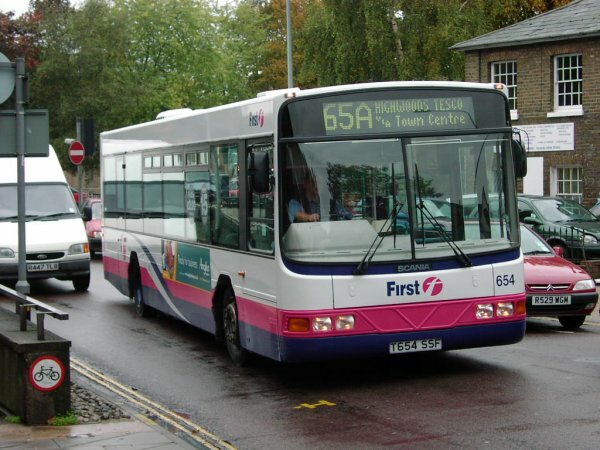 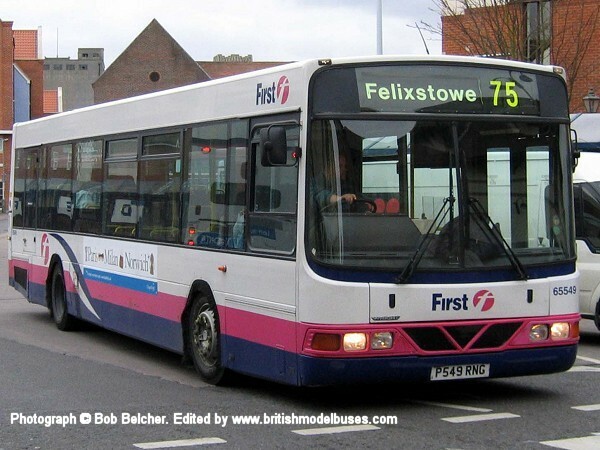 This photograph was taken in Ipswich on 21 March 2006 and shows the above vehicle now displaying standard Firstbus corporate colours. 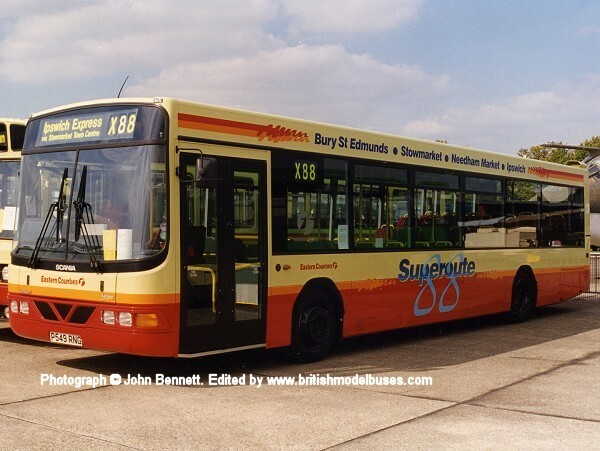 This photograph was taken in Truro bus station on Tuesday 5th August 1997 and shows P87 SAF. 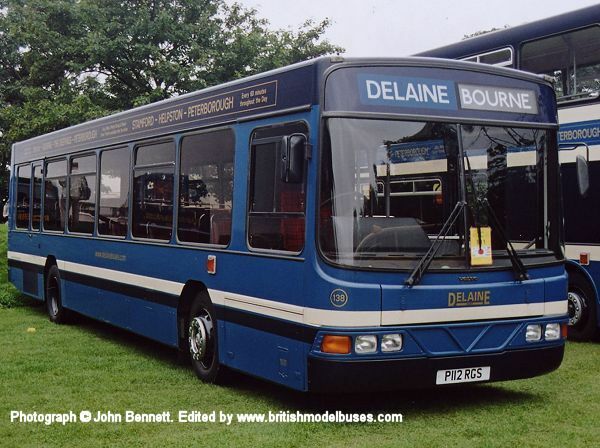 Subsequent to this photograph being taken the vehicle was sold to Delaine and joined their fleet as fleet number 137. 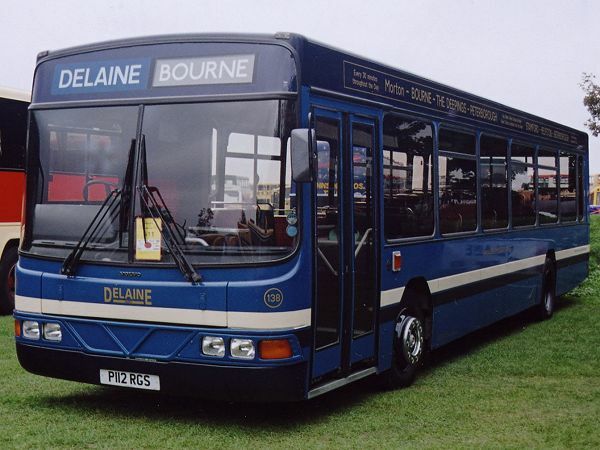 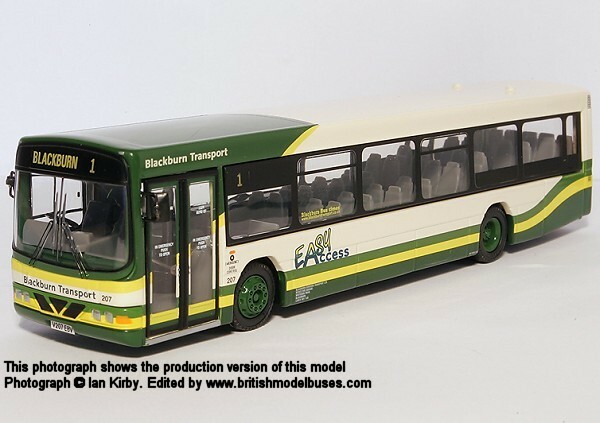 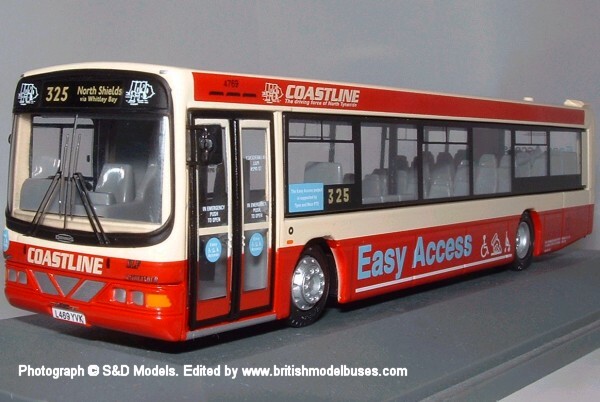 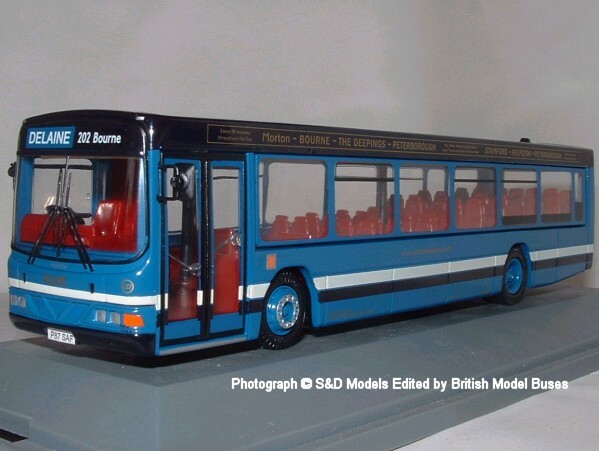 This is the actual vehicle represented by EFE as model 27614 in Delaine livery. 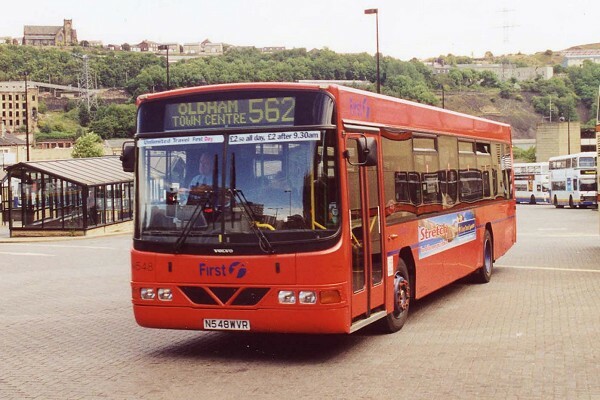 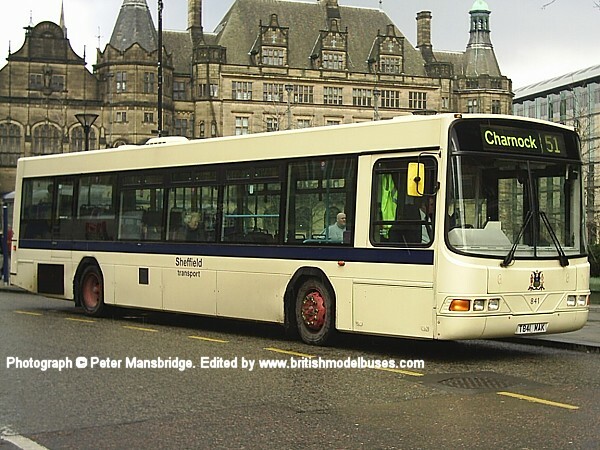 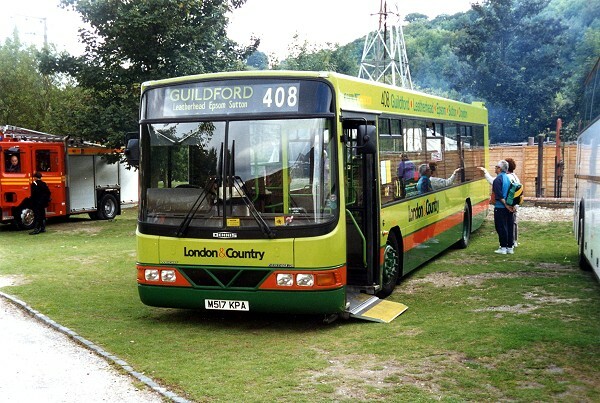 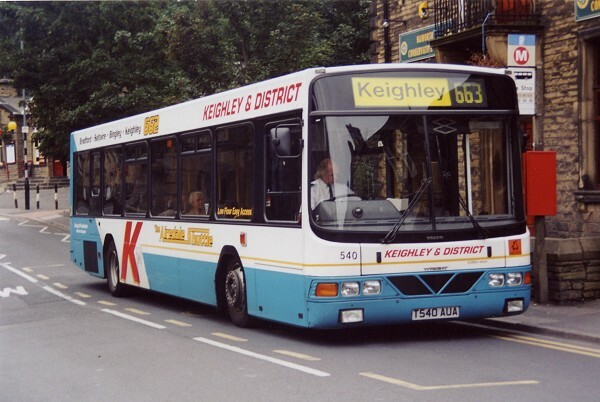 This photograph taken at Showbus on 27 September 1998 shows the offside view of the above vehicle.